Some relationships aren't meant to be. That's how I felt about Microsoft and Nokia when they announced their partnership in February 2011. You've seen some of my missives: "Nokia does the Windows Phone death dance" (April), "Windows Phone can't save Nokia" (February) and "Windows Phone transition is killing Nokia" (July 2011), among others. Let's not forget the memorable "Windows Phone 7 Series is a lost cause", from February 2010. The problem is simple: Microsoft's usage philosophy around Windows Phone is fundamentally flawed and doesn't jive well at all with Nokia's enormous install base. As such, Nokia should never have cut the deal with Microsoft that replaced Symbian with Windows Phone. Symbian was the most widely used mobile operating system in the world when the companies cut the deal -- and in many geographies where Nokia remains market share leader, it still is. Seventeen months ago, new CEO Stephen Elop should have fretted more about holding onto existing customers -- how to move them to new Nokia handsets -- rather than compete with iPhone. The ex-Microsoft president doomed Nokia, instead. Financials don't lie, and they tell a wicked tale. Yesterday morning, Nokia announced second quarter earnings, and they were brutal -- operating loss of $1.01 billion. Nokia shipped 83.7 million handsets, down 5 percent year over year. However, smartphone shipments fell more severely -- 39 percent, from 16.7 million to 10.2 million units. Meanwhile, the Finnish manufacturer shipped 4 million Lumia Windows Phones. That's good from percentage-of perspective, nearly 40 percent, but bad with the number of overall smartphone shipments falling nearly as much. Now compare to Samsung, which, according to preliminary Q2 financials, shipped 50 million smartphones, or nearly five times more. This category, around which the market consolidates, should account for the majority of handset shipments when Samsung announces financials next week. 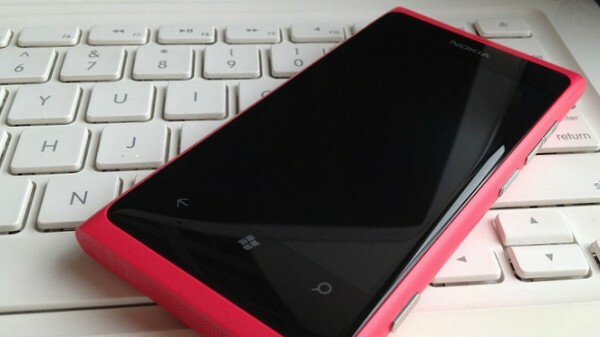 By comparison, smartphones represent just 12 percent of Nokia volumes, while Windows Phone is but 4.8 percent. Remember again the context: Nokia's overall smartphone shipments declined. Absolutely, Nokia struggled to find a footing in smartphones -- a category it created more than a decade and a half ago -- after Apple launched iPhone in June 2007. Certainly Nokia needed to do something, but abandoning its enormous customer base, which still buys hundreds of millions of mobiles, was a mistake. Windows Phone was doomed from the start, because, if for no other reason, moving from Symbian is so hard. There are lots of things Nokia could have done instead, and platform switch should have been at the bottom of the list. But this isn't just a problem of dumping one platform for another, and all that customers and partners have built around the incumbent. The choice of platform matters, too, and Nokia picked poorly. Microsoft designed Windows Phone around a concept called "glance and go". The idea: Users get the information they need, mostly presented in tiles, and get off the phone. Microsoft starts from the design perspective that too many people spend too much time interacting with the mobile and not enough with other folks. That's certainly true in North America or major parts of Europe. The situation is different in many markets where Nokia is still so successful. Nokia's strength is everywhere but the United States and the market demand is upgrading people from feature phones to smartphones. For many of these people, their first Internet device is the phone, not a PC. They need apps and want to spend time on the device. The Windows Phone tile UI and choice of apps encourages the opposite. For them "glance and go" makes little to no sense. Microsoft's whole UI concept is about getting on the device and then off. That's fine if you're a business man in New York but not an entrepreneur in Nairobi. For example, according to the United Nations, Africa has more cell phone subscribers than the United States, and Africans primarily go online using their mobile phones -- that includes services like Facebook or Twitter. Africa leads other regions establishing mobile money networks that let cellular subscribers use their handsets like ATMs. Much of this activity takes place not on super sophisticated smartphones, but simpler mobiles. Users need advanced messaging capabilities, means of making mobile payments, advanced maps, robust web experience and lots of apps as they move up from dumb phones to smarter ones. Nokia abandoned work done in these areas to focus on Windows Phone, all while providing no real upgrade path from Symbian. (Of course, there are many other problems a platform switch represents that I won't rehash here; for more click the links in the first paragraph.) For many of these customers, Windows Phone is more likely to be glance and gone -- to Android or iOS, and if Nokia is lucky to another Symbian mobile. Nokia should have continued Symbian development alongside of their embrace of a brand new and untested mobile operating system, Windows Phone, rather than cutting all the existing platforms off at the knees and throwing all their eggs into one basket that is precariously balanced on one company, Microsoft. As I stated in my review of the Nokia 808 PureView, Nokia still knows how to innovate and make fantastic products. To this day, from a hardware perspective, Nokia makes the best mobiles on the planet. They're sturdy and reliable, and advanced-engineered devices like the 808 PureView are innovation that makes anything Apple produces look like toys. Symbian Belle is a solid operating system that is in many ways superior to Windows Phone and capable enough alongside Android or iOS. Nokia has much more to gain by building devices of 808 PureView's caliber running Belle and more to lose from Lumia Windows Phones (just compare the sales figures above). It's business fundamentals stuff: Focus on existing customers and keeping them. In every business, the cost to keep existing customers is almost always less than acquiring new ones. The Windows Phone platform switch is a form of acquiring new customers, even if they own Nokia now. Then there are the hiddens cost to customers when moving from platform A to B. Imposing change increases chances customers will switch to something else, by removing all the platform dependencies already in place. If you present them with something new, they may choose something else. I don't suggest Nokia should abandon Windows Phone. But I do assert Symbian is a viable platform that could keep hundreds of millions of existing customers buying Nokia, particularly if devices like 808 PureView could be offered at reasonable prices. Better Belle than Windows Phone hell.